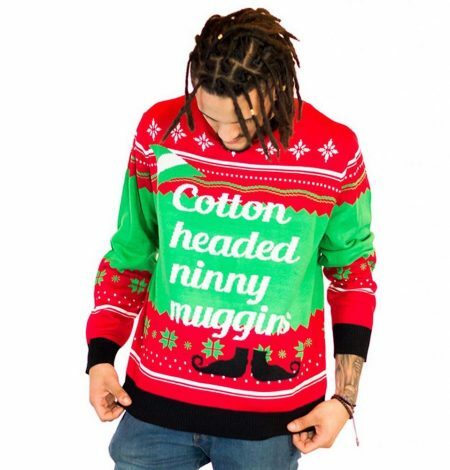 Don’t be one of those cotton headed ninny muggins who misses out on this fashion statement. 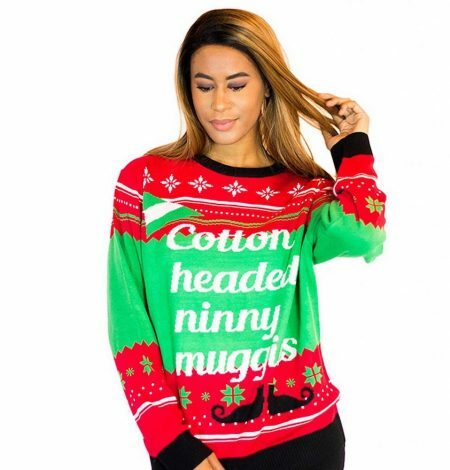 This sweater says it all this holiday season. The North Pole might be offended by its words, but we know you’ll be pleasantly offended by its bright red and green background and tacky snowflakes.